The Whitworth University Board of Trustees is honored to welcome Andrew T. Erickson, ’84, Dr. David John Flesher, ’81, Alycia Gebbers, and the Rev. Gayle B. Parker, all of whom were elected during the board’s April meeting. Also during the meeting, Charles “Chuck” Boppell, ’65, and David Myers, ’64, were elected as board of trustee lifetime members. Erickson is a partner at Washington Fruit & Produce Co., based in Yakima, a grower, packer and shipper of apples, pears and cherries. Erickson graduated from Whitworth in 1984, and also serves on the Whitworth Business Advisory Board. Erickson and his wife, Caroline, ’85, have three daughters, Taylor, Brett, ’13, and Madeline. Flesher is an orthopedic surgeon specializing in general orthopedics and sports medicine. He has practiced at Orthopedic Associates, in Oklahoma City, since 1991. He graduated from Whitworth in 1981 with a bachelor’s degree in biology and from the University of Oklahoma’s College of Medicine in 1985. He then completed his residency and fellowship at the Johns Hopkins Hospital, in Baltimore, Maryland. Flesher is past president of the board of the Lyric Theatre of Oklahoma, which he has served since 2005. He enjoys all outdoor activities, including cycling, skiing and hiking. In 2000, he participated in the Ironman Triathlon World Championships in Hawaii. He and his wife Lisa, ’81, have two children: a daughter, Rachel, and son, Ryan. Gebbers is employed with Gebbers Farms, primarily in the cattle and logging operations. Gebbers Farms is a multigenerational, family-operated farm located in Brewster, Wash., and is the largest provider of apples and cherries to the Northwest U.S. The business also raises cattle, logs trees, and owns Gamble Sands Golf Resort. Gebbers is a musician and a former college athlete. She and her husband, Cass, have four children, all of whom have attended Whitworth, and four grandchildren. Their sons, Clay,’11, and Wade, ‘13, and daughter Corina, ’15, graduated from Whitworth’s School of Business, and daughter Andie Lee, ’17, is currently a student in the School of Education. Parker is a pastor at The Spring Church, in Arizona. She graduated from Princeton Theological Seminary with a master’s in divinity. Before serving at The Spring, Parker served two established churches in the Phoenix area – as an associate pastor at Scottsdale Presbyterian and, for 14 years, as senior pastor of Historic First Presbyterian, in inner-city Phoenix. She is married to Rev. Tom Parker, an ordained minister who is director of Fuller Seminary Arizona and who also serves as a pastor at The Spring Church. The Parkers have three sons, two of whom are alumni of Whitworth and married to Whitworth alums. They recently welcomed two beautiful grandchildren into their growing family. 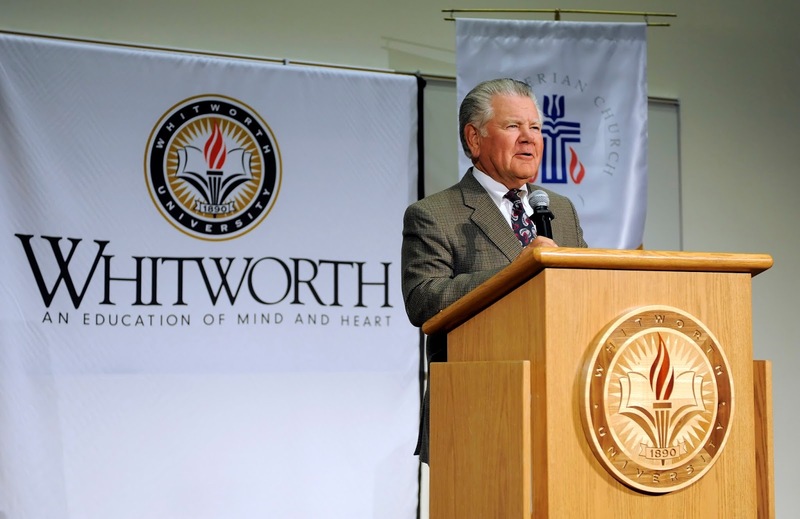 Boppell is an icon in the Whitworth community for his years of support and leadership. 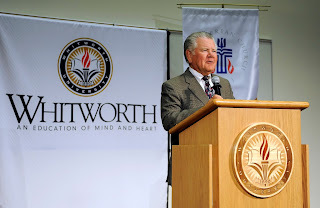 The deanship of the School of Business is named in his honor, and the construction of Boppell Hall was made possible through the generosity of Chuck and his wife Karlyn, in recognition of their family’s strong relationship with Whitworth over four generations. Boppell graduated in 1965 with a degree in economics, and Karlyn is a 1967 graduate in music. Their daughter, Tauni, graduated with the Whitworth Class of 1990. Boppell is past president and CEO of Worldwide Restaurant Concepts; the company owned and franchised more than 400 restaurants around the globe at the time of his retirement. He began his career in the food industry right after his graduation from Whitworth, when he joined Saga Corporation. Boppell later held senior leadership positions at Pizza Hut, Taco Bell, Godfather Pizza, and Sizzler International, which became Worldwide Restaurant Concepts. Myers, an award-winning author of numerous social psychology books and articles, is also a professor of psychology at Hope College, in Michigan. He has digested psychological research for the public through articles in four dozen magazines, from Scientific American to Christian Century, and through 17 general-interest books and textbooks. His scientific writings, supported by National Science Foundation grants and fellowships, have appeared in three dozen academic periodicals, including Science, the American Scientist, the American Psychologist, and Psychological Science. 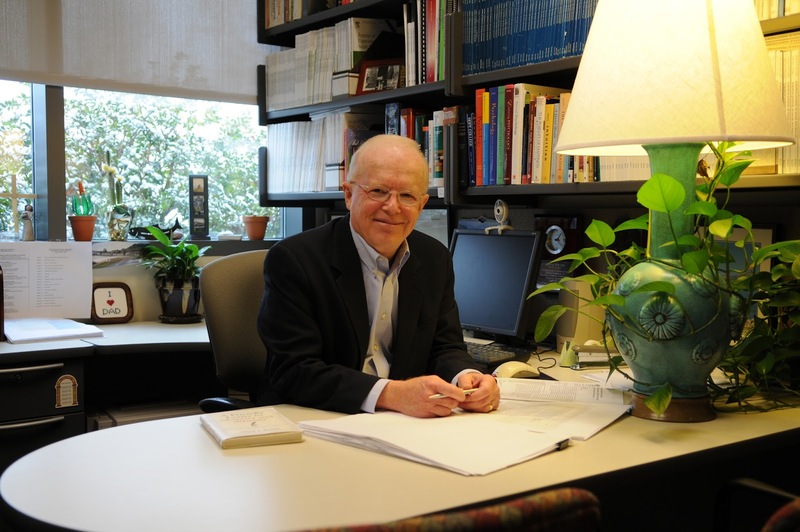 Myers’ research and writings have been recognized with the Gordon Allport Prize, with an "honored scientist" award from the Federation of Associations in the Brain and Behavioral Sciences, with the Award for Distinguished Service on Behalf of Personality-Social Psychology, and with three honorary doctorates. Myers and his wife, Carol, married while they were undergraduates at Whitworth, and are parents of three adult children: sons Peter and Andrew, and daughter Laura.